Episode 56 : How the EPSTEIN-BARR VIRUS changed the "WHY" behind Kelli Tennant's LIFE's PURPOSE. On this Episode, number 56, of the “Just Bein’ Honest” Podcast, I am joined by my newest SOUL SISTER and female leader, Kelli Tennant. Kelli Tennant, in my world, she is a breath of fresh air. A woman with an honest voice that is rare to find, but enviable to translate. Over the course of 14 years, Kelli has gone from USC Athlete, to a driven career as an on-camera sports reporter for professional teams including the Los Angeles Lakers, the Los Angeles Dodgers and the Los Angeles Galaxy. Her name and face held extreme value and recognition in the Sports Entertainment world, and then… she left it all. Kelli fell ill with a mystery illness that was left misdiagnosed by doctors. Once the truth was revealed that Kelli had Epstein-Barr Virus, a key player in chronic illness, it was time for Kelli to focus on living a life of purpose in order to fully heal. Kelli created her business called, The Platform. It is a space to help women heal, she is to share more on this - also her Podcast!!! On this episode, Kelli and I both share our personal stories of healing. I have to admit how scary this is to share something personally scarring from my past which brought me close to death. I hope you understand my hesitance and accept my vulnerability on this subject. Please note that it is a graphic moment that may be uncomfortable for many to listen to - but, I feel that I need to unveil this truth and shed it from my soul. It’s truly profound what the past can hold against us deep within our genes unless we face it and nurture those traumas. I hope that you all feel as though you can be brave to share your stories with me, and know that the past does not define your glorious light. But WAIT, I cannot thank you enough for supporting the JBH Podcast. If you feel that someone you know should hear and or could benefit from this episode, please pass it along. 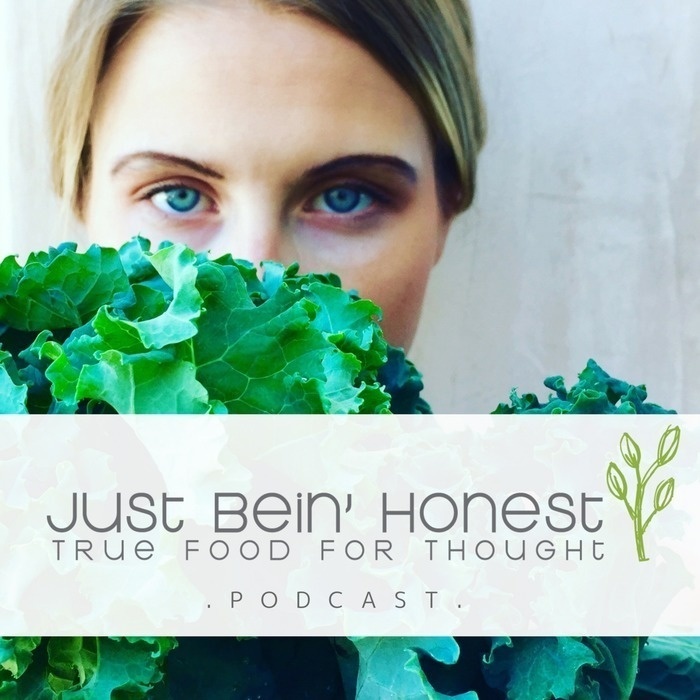 Share this episode with your social outlets and please tag @JustBeinHonestKB in your post. We are honored for your time and for subscribing to our show - Thanks again for tuning in!